On the ground floor of the house is a stylishly furnished apartment. The apartment has 2 bedrooms, living room with integrated kitchen, satellite TV, W-Lan, bathroom with shower and a beautiful covered terrace with lake view. The well-equipped kitchen has 4-plate Inuktionsherd, oven, fridge-freezer, coffee maker (Nespresso) and plenty of dishes. Shops, restaurants, cafes, doctor and pharmacy can be reached within a 5- to 5-minute walk. 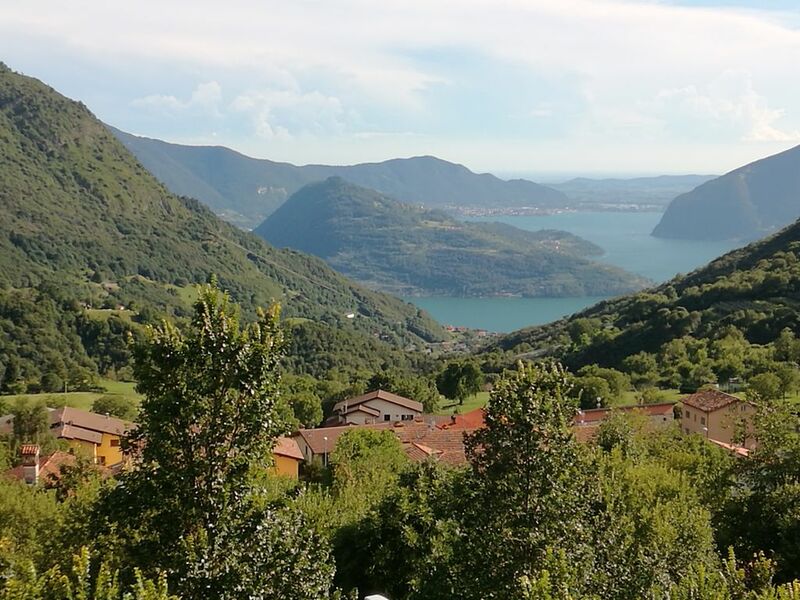 Lake Iseo can be reached by car or bus in 15 minutes. Several public baths nearby can be used free of charge.